I spotted Emma's card on Instagram following #mftstamps. 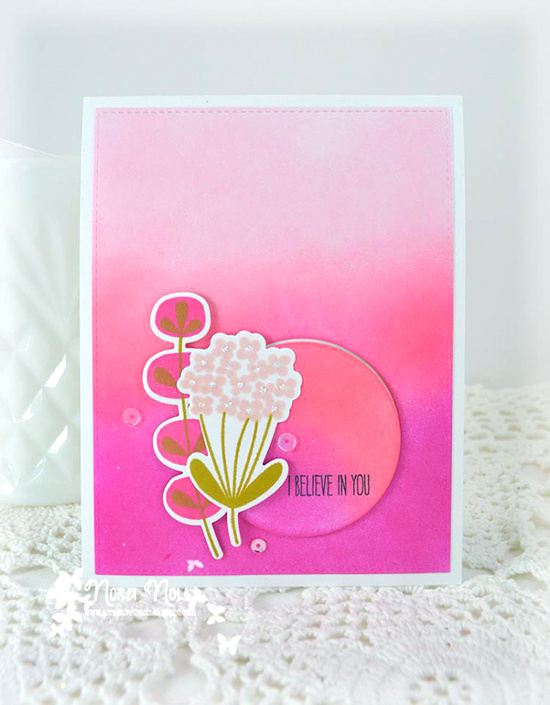 She used the Blissful Blooms stamp set and Die-namics to line the perimeter of her circle. 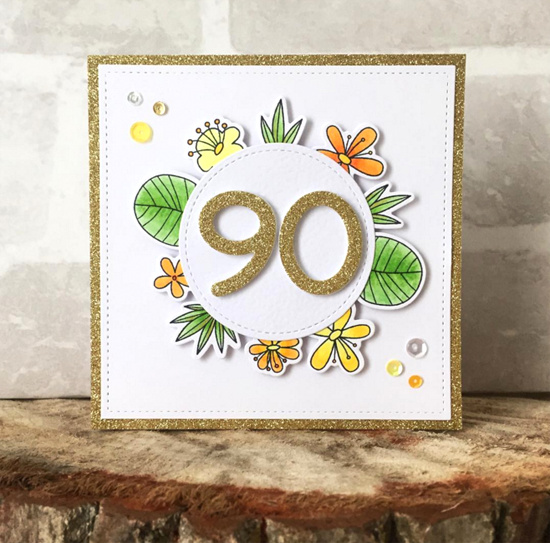 I hope I get a card as lovely when I turn 90 years old! Creative Team Member Donna Mikasa spotted Seunguen's card on Instagram. Donna says, "[What a] cute little scene, and I love how the colors pop off the dark woodgrain background." 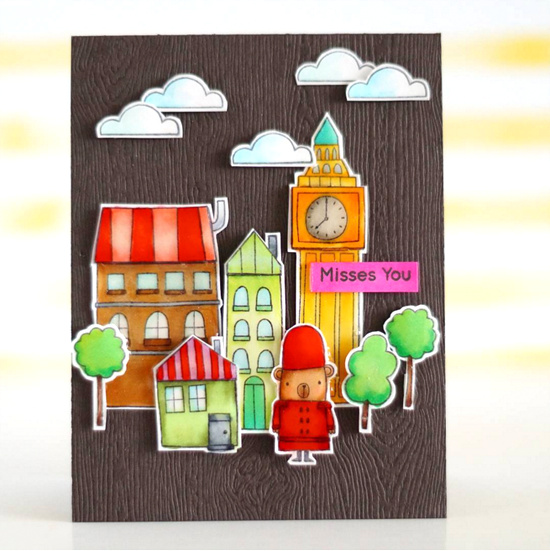 Her adorable use of the London Mouse stamp set and Die-namics and wonderful coloring are indeed superb! 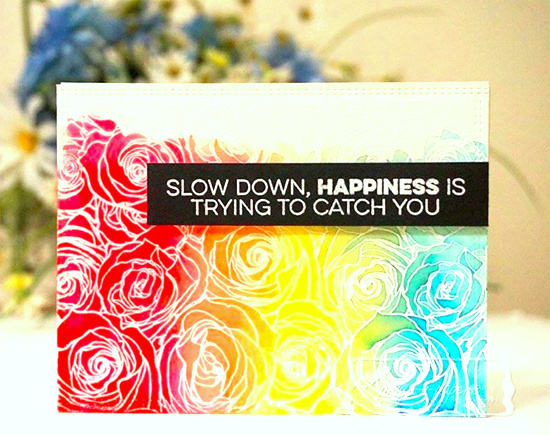 I spotted Priya's super pretty card on Intagram. I absolutely LOVE the gorgeous background she created with the Roses All Over Background stamp with heat embossing and a rainbow of magnificent color. Margarita's sweet card was an entry for Sketch 271. 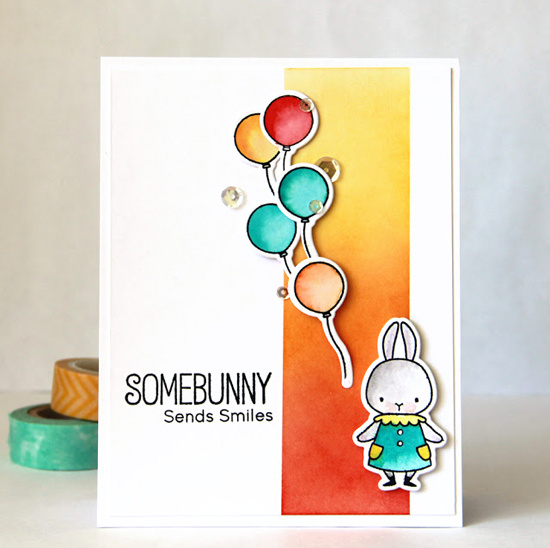 Often our Somebunny stamp set is accompanied with pastels and a springtime feel, but with her bolder color choices, this card stands out. And those sweet balloons intermingled with sequins give the design a fabulous sense of movement. Nora's intense pink card was posted in the My Favorite Things Facebook Group. Though the stamp set is called Fall Florals, her color choices say spring. Before you put away stamp sets that seem fitting only for certain times of year, take a look at how you can use them all year long! Thanks for using MFT, ladies! You've left us inspired, and that's what it's all about! See you tomorrow for another great Sketch Challenge, and look for the next MFT Color Challenge next Thursday, April 14th!